We went skiing for the first time this year (and Whittney’s first time ever) last week. It was the perfect day—sun, snow, and Saturday. Whittney did amazing for her first time, as you can see in this video. This entry was posted on Sunday, March 29th, 2009 at 9:15 pm	and is filed under Family. You can follow any responses to this entry through the RSS 2.0 feed. You can leave a response, or trackback from your own site. Love the video, she must have a great teacher. 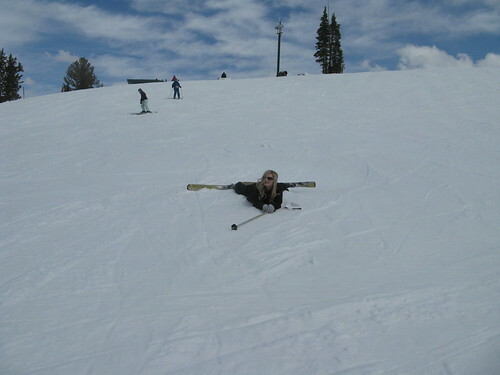 I am a little nervous that you were skiing backwards to shoot the video. I am impressed! Hey you, good job on the ski hill. So check out our blog, we’ve got some news!!! Nicole. I would like to say great blog!